Do you feel like the weekend has dragged? Fed up with your own company? New to the area? Don’t be on your own…… You’re invited to join us at Meet Up Mondays between 10am and 12noon every Monday at the White Lion Hotel, Aldeburgh (01728 452720). Enjoy a free cuppa and some friendly chat. You are probably aware of the existence of the Aldeburgh & District Community Hospital located in Park Road, Aldeburgh, but did you know what services are available there? The Hospital provides 20 inpatient beds and is run by Ipswich Hospital NHS Trust. There is no A&E (accident and emergency) facility. Inpatient services are predominantly for those who have long term conditions, or require a recuperation period after leaving an acute hospital and before going home, but GP’s are also able to refer patients for observation and care. The aim is to get the patient well enough to go home, but if this is not possible, to enable their family to make alternative plans such as residential or a nursing home. The hospital does not provide long term care. As well as inpatient services there are a large number of outpatient clinics including physiotherapy, x-ray, renal dialysis, chemotherapy, hearing, orthopaedic and rheumatology. There is also an excellent day centre for the elderly. 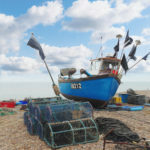 These services are primarily available for the residents of Aldeburgh, Thorpeness, Aldringham, Leiston, Saxmundham, Sizewell, Snape and the other nearby towns. To find out what services are available and how to access them you can look in the Health & Care Directory for Aldeburgh, Leiston, Saxmundham and surrounding villages. This is also available online at hhtp://www.ipswichandeastsuffolkccg.nhs/Localservices/Guidetoservices/HealthCareDirectory.aspx. The hospital is also the base for a team of local district nurses and other healthcare professionals. The Aldeburgh League of Friends (Charity Number 247890) has played a key part in the provision of major pieces of equipment since the 1990’s, such as the renal dialysis equipment and the X-ray as well as infrastructure such as the Conservatory, the TV system and the telephone system, plus many smaller items. Other projects in the pipeline include replacement of the X-Ray machine (the current one being over 20 years old). Funded by the League of Friends, a new beverage bay has just been completed along the corridor and now boasts a state of the art layout and on the opposite side of the corridor is an area devoted exclusively for flower arranging, appreciated by the volunteers who provide the beautiful arrangements around the hospital. The refurbishment of the Relatives/Quiet Room is also under way. This provides a room away from the bustle of the ward allowing a sanctuary where relatives struggling, can sit and chat with the Chaplain or simply rest quietly by themselves. Following a period of consultation with the hospital staff and the NHS to determine the needs of patients and all those who use the hospital, a Sensory Garden is currently under construction at the hospital. The brainchild of Anne Parsons, who has also done an amazing job of fundraising for this project, the garden has been designed by Roger Simpson, a landscape designer and is being project managed by Anne. The Sensory Garden will be accessible and for the enjoyment of patients and their carers, with essential resources being built into the garden to improve physical and mental welfare. The hospital staff and the NHS are keen for the Sensory Garden to be a whole community resource. This means that anyone can use the facilities to enjoy the sensory stimulation, the peace, calm and beauty and as a means of social interaction. The garden will be of particular value to those in wheelchairs or who use crutches and need a safe place to exercise, those with dementia and Care- givers, those needing recuperation and rehabilitation and anyone who no longer has their own garden to enjoy. The League of Friends has been fund raising for the last year to ensure this project comes to fruition and is especially grateful for the huge number of generous donations from private supporters as well as Waitrose, the East of England Co-op, the Latymer Trust, Saxmundham Rotary Club, local businesses, our local Councillor’s ‘Enabling Communities Budget’, our County Councillor’s Locality Budget, EDF Energy and Aldeburgh Town Council. The League of Friends is also financially supporting the garden and continues to fundraise for the purchase of a spiral bench and accompanying table designed by David Villiers of Studio Pond. The bench has wooden planks which can be engraved either in memory of someone or with a short uplifting saying, and the table will be engraved with a number of questions as conversation starters. These questions have been specially considered to assist conversations with those who have dementia. 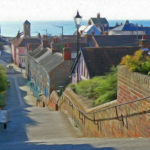 Other fundraising events include a Summer Event (in the hospital grounds) during July and an Autumn Coffee Morning (at the Church Hall, Aldeburgh). Other sources of funding come from Annual Subscriptions, Donations and Bequests & Legacies. All funds are used, solely for the benefit of patients and staff. The League of Friends is constantly looking for volunteers. Meeting new faces can be fun and rewarding whether you assist in the Day Centre, help in activities from art and craft to gardening, or take around the sweet/toiletries trolley to patients, or the book/magazine trolley which are all greatly appreciated. The League of Friends is currently looking for a new Treasurer as their current Treasurer is leaving the area in the summer. This needs to be someone with good administration skills (you don’t need to be an accountant). The Hospital garden team meet each Friday afternoon from 1.30pm for a couple of hours and are keen to recruit more volunteer gardeners, no experience necessary but enthusiasm is a great asset. 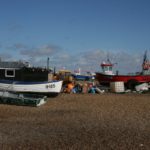 We started this project in May 2017 with the aim of helping to stop the decline in Swift numbers in Aldeburgh, Suffolk. Give us a call if you would like some advice on installing a nest box. Please read the ‘Article’ page to understand why and how you can help. Also check out the ‘Identification’ page to see the difference between Swifts, Swallows and House Martins. Lighthouse Women’s Aid is a charitable organisation based in Suffolk, providing support and advice to women and children experiencing domestic abuse in their personal or family relationships.  The organisation has provided help and support for two families in the Aldeburgh area in the past 12 months and are on hand to help YOU if you feel threatened or abused. Their helpline is 01473 745111 for confidential help and support.